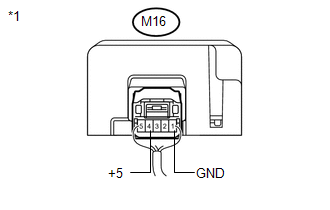 When the entry door lock and unlock functions and wireless door lock and unlock functions do not operate, radio wave interference, or a malfunction in the key or signal circuit between the door control receiver assembly and certification ECU (smart key ECU assembly) is suspected. 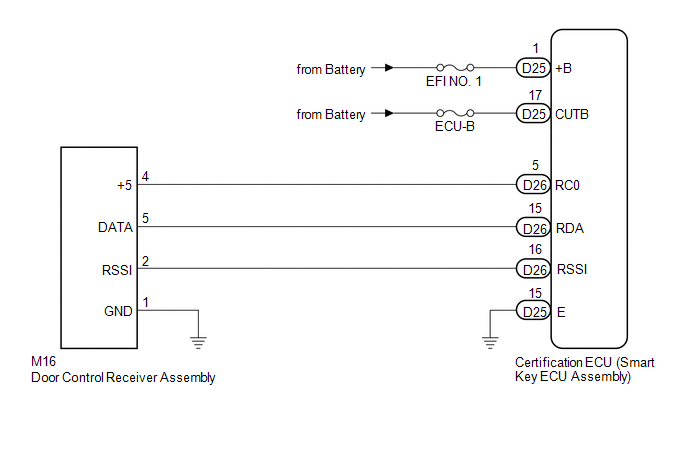 The signal circuit is shared by the entry function and wireless door lock function. (a) Check that the transmitter LED illuminates each time when the switch is pushed 3 times. Transmitter LED does not illuminate at all when switch is pushed 3 times. Transmitter LED illuminates each time when switch is pushed 3 times. Transmitter LED does not illuminate the second or third time. 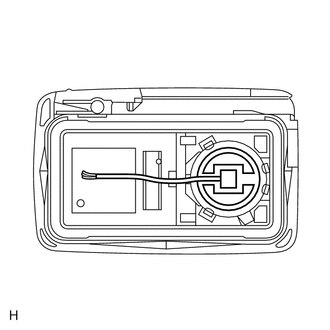 If the transmitter LED does not illuminate the second or third time, replace the transmitter battery as it is depleted. Do not wrap the wire around the terminal, wedge it between the terminals, or solder it. A terminal may be deformed or damaged, and the battery will not be able to be installed correctly. (a) Bring the key near the door control receiver, and check that the wireless function. When the key is brought near the door control receiver, the possibility of wave interference decreases, and it can be determined if wave interference is causing the problem symptom. (a) Check if functions other than the entry function operate when the engine switch is off. Other functions do not operate. Perform this check with using functions that do not require the engine switch to be on (ACC or IG) in order to operate. (a) Remove the EFI NO. 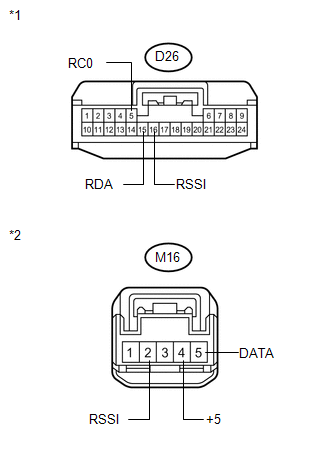 1 and ECU-B fuses to the engine room relay block and junction block. (a) Install the EFI NO. 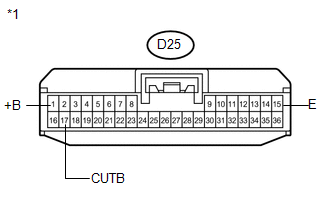 1 and ECU-B fuses to the engine room relay block and junction block. 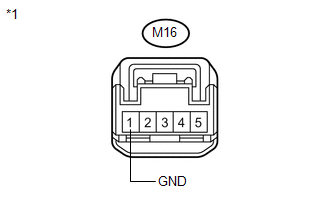 (b) Disconnect the certification ECU (smart key ECU assembly) connector. 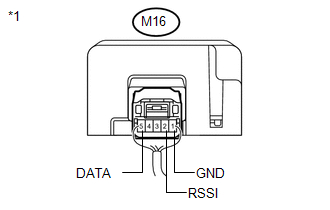 (a) Disconnect the door control receiver assembly connector. (b) Reconnect the door control receiver assembly connector.